Erie County Executive Mark Poloncarz could gain another ally in Amherst government, though he says he’s not trying to extend his political influence into the town. 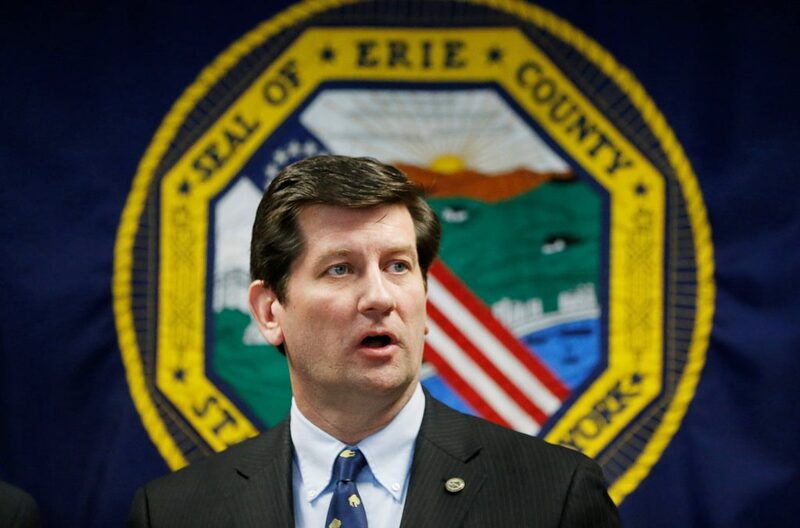 As Democrats and Republicans prepare to select their contenders for elective office in Amherst, Erie County Executive Mark Poloncarz is closer to getting another ally in town government. The parties will meet this week to endorse candidates for two Town Board seats, town clerk, highway superintendent and town justice for this November’s election. Look for a high-profile rematch of the 2018 contest for town clerk, some familiar names in the Town Board contests and possible cross-endorsements that would eliminate any suspense in the races for highway superintendent and town justice. But the 2019 races in Amherst, Erie County’s largest suburb, also highlight the close connections between Town Hall and County Hall. The town supervisor’s chief of staff moved into that job from Poloncarz’s staff in January 2018. That’s also when Shawn Lavin, a county employee, joined the Town Board. Now, Michael Szukala, the county’s Medicaid Inspector General, is running for Town Board and is in line to receive the Democratic endorsement. Amherst Republican Chairman Joseph Heins said the situation is rife with conflicts of interest. As i stated on this website previously, if Amherst residents don’t believe that the County Executive is not influencing the day to day operation of this Town, just read the above article in the News today. Since when did the Town Supervisor need a Chief of Staff and what has this position done in the past year to make the day to day operation of Town of Amherst any better? think they answer to him, but really it’s the other way around. day to day operations. Unfortunately, he’s more like Napoleon.